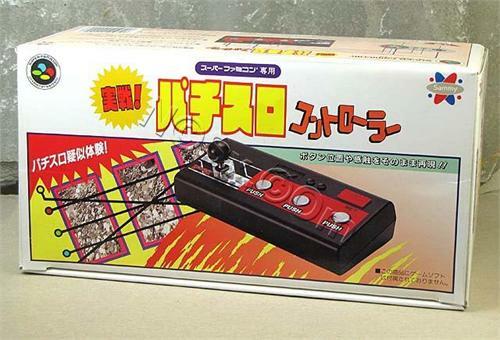 Brand new and factory boxed Battle Pachislot Controller for the Super Famicom which was manufactured by Sammy and released in the Japanese marketplace on September 16, 1994. 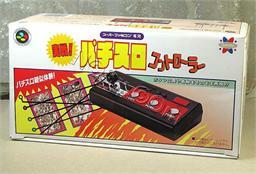 Since the controller just maps the buttons and d-pad of the standard Famicom control pad, it is compatible with the myriad of pachinko games released on the Super Famicom back in the day. Pricing for each new and factory boxed controller is set at US$30.90 which includes free shipping within the United States. The condition of the remaining boxes in inventory is excellent with no major dents or dings after nearly 20 years in storage.